These lightweight balls are made for heavy-duty activities like bouncing, balancing, exercising, yoga and more. 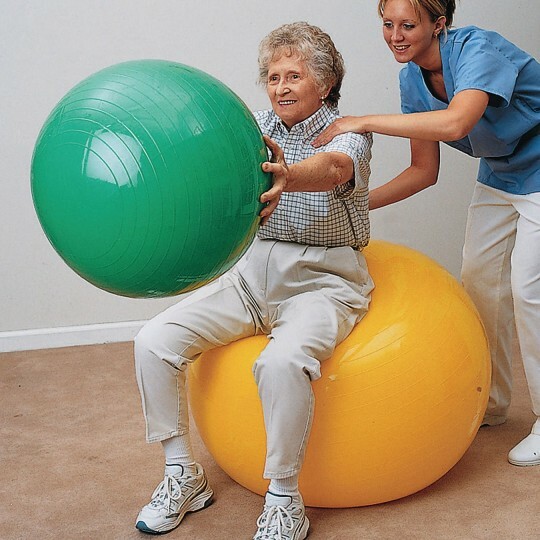 One-piece, roto-molded vinyl balls feature a thick vinyl skin with no internal seams for added durability. Tacky, non-slip surface allow for easy grasping. 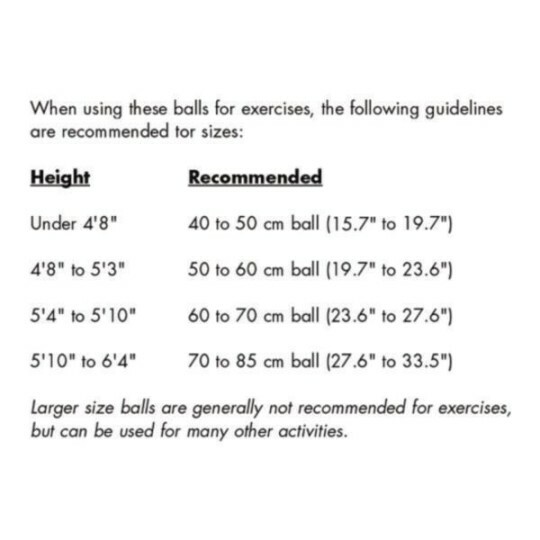 Each ball supports up to 550 lb while each ball weighs about 1.5 lb and inflates with a high volume inflator. Anti-burst balls are designed to delfate slowly and safely in the event of a leak. Colors may vary.